At the time, I thought that person was being a bit self-aggrandizing, but obviously it’s stayed with me. Since I’ve been able to travel to more and different places since, I’ve come to appreciate that there’s a sort of synchronicity that happens when you travel. Every place I go is different, but I notice the similarities. Everywhere I go reminds me of somewhere I’ve already been. After my trip to South Africa, where we visited Nelson Mandela’s prison cell on Robben Island, I started noticing quotes from Mandela everywhere I went. As I wrote in a post following his death, that experience stayed with me, and that’s why I notice his words now where I didn’t before. 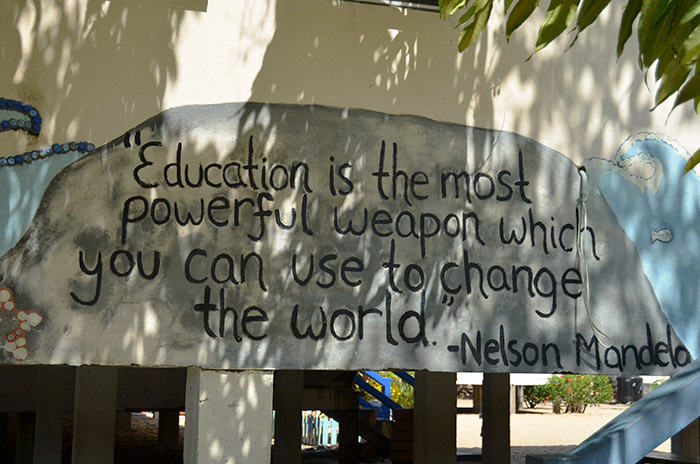 Belize was no different; here’s a Mandela quote painted into a mural on a school in Placencia. Our trip was lovely: We spent ten days in the rainforest, and then three at the beach. I’m planning several recap posts about the trip … but as I’m writing this, I’ve been home less than 24 hours and I’m a bit sleep deprived, so I’m not even sure what to say. 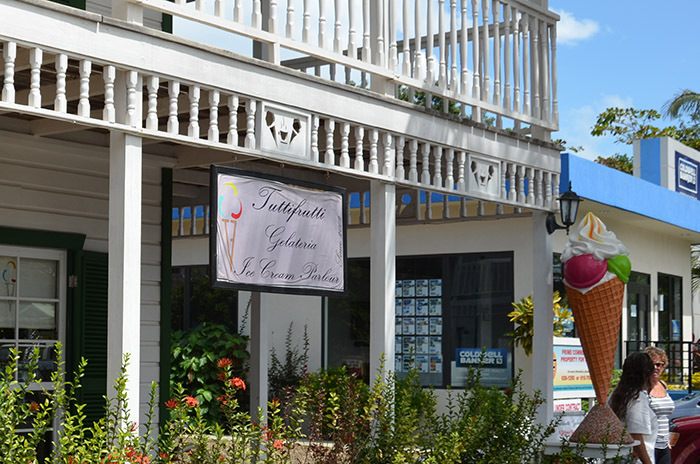 But I know exactly where I want to start: Tuttifrutti Gelateria in Placencia, which we went to on our final day in Belize. So imagine for a minute that you’re me (don’t be scared, it’s just for a minute.) 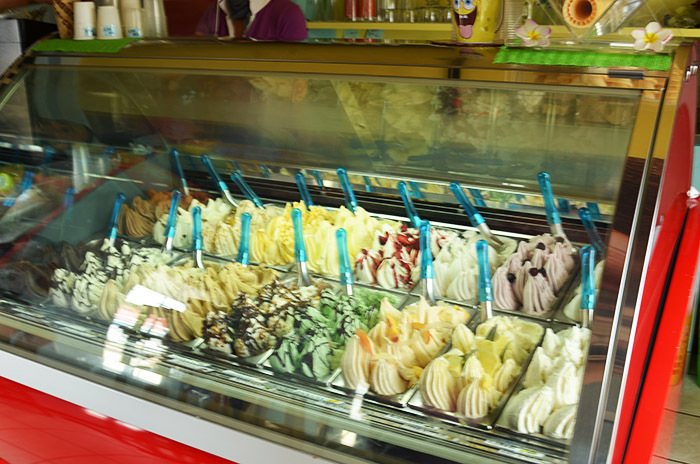 You’re staying at a resort in the Belizean rainforest, asking for recommendations in the beach town you’re headed to next, and the resort’s manager, who is a South African woman, tells you about an Italian Gelateria. You get what I’m saying about synchronicity, right? The flavor offerings change daily. 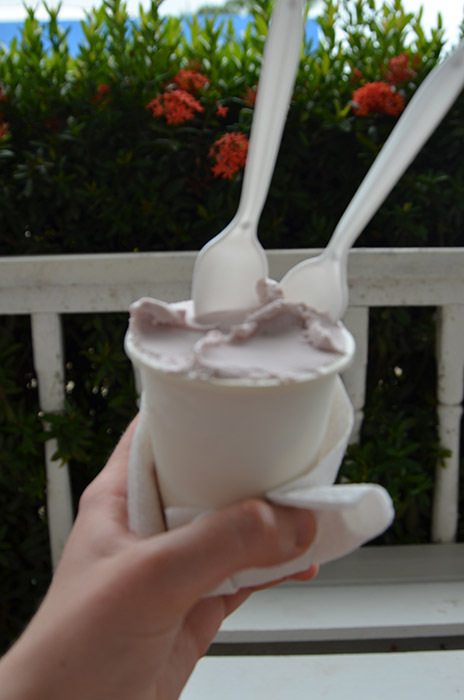 They all sounded amazing, so we decided to mix two: blackberry, and rum and hazelnut (because when in RomePlacencia.) Both were sweet and rich and creamy, but the rum and hazelnut completely stole the show. *I just noticed that many of my travel photos, particularly from Italy, aren’t showing up after the issues I was having with my site last fall. I’ll work on getting those back up.